The Last Leaf Gardener: HERE'S SOME BREAKING (NON-FAKE) NEWS! 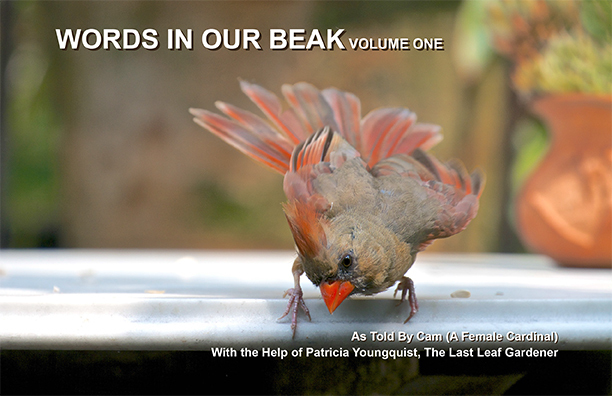 The soft-cover version of "Words In Our Beak Volume One" is now available. HERE'S SOME BREAKING (NON-FAKE) NEWS! 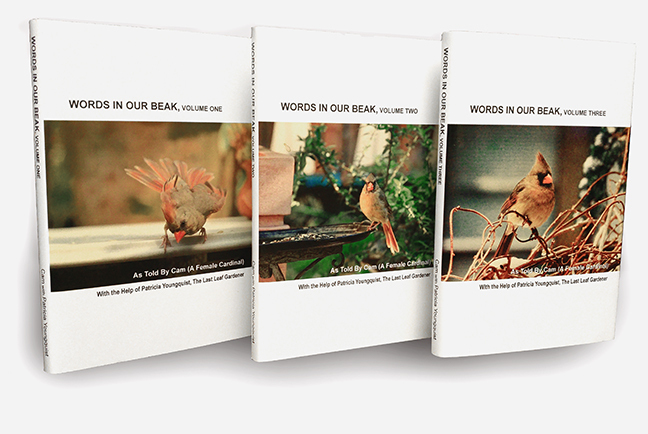 The soft-cover version of "Words In Our Beak Volume One" is now available. Cam, my visiting cardinal (the cover girl pictured above) and I, offer many thanks to the brilliant Chris Deatherage for doing such excellent work in re-formatting the ePub (Amazon, Kindle) of Words In Our Beak Volume One, in order to make it available as a softcover version, which it now is as seen in the picture atop this entry. Just a reminder: WORDS IN OUR BEAK is the first volume in a series of narratives introducing readers to a simple understanding of the winged world and its environment. Set in a New York City rooftop garden, the story is told in the voice of Cam, a female cardinal, who visits the garden regularly. Written for children and adults who are curious about birds and want to learn about them from a unique perspective, WORDS IN OUR BEAK includes rich, colorful images of Cam and her friends surrounded by lush flora and fauna. Also woven within this amusing and informative narrative are references to additional text and video expanding the reader’s experience.